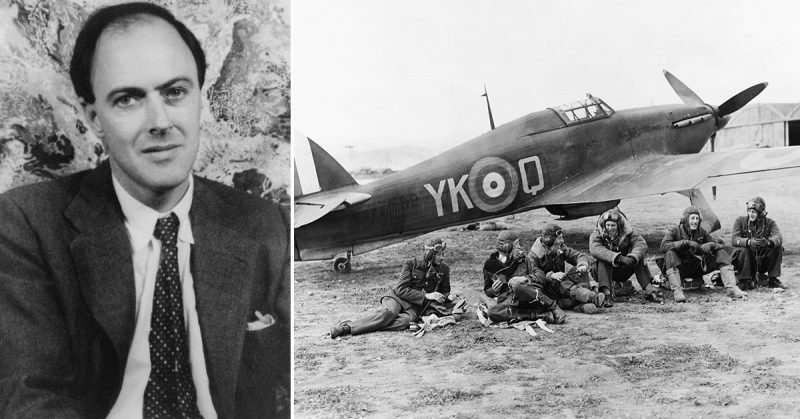 The creator of Charlie and The Chocolate Factory, The BFG, Matilda, and countless other much-loved stories of mischief and mayhem spent most of his time during World War Two up in the air flying Tiger Moths and Mark One Hurricanes. Dahl enlisted at the outbreak of the war when he was 23, traveling to Nairobi for his medical. He was not a small man, but Dahl still managed to fit his six-foot frame into the cockpit. After initial training, he went to Iraq to learn how to fly Hawker Harts before being commissioned as a Pilot Officer in the RAF Volunteer Reserve. 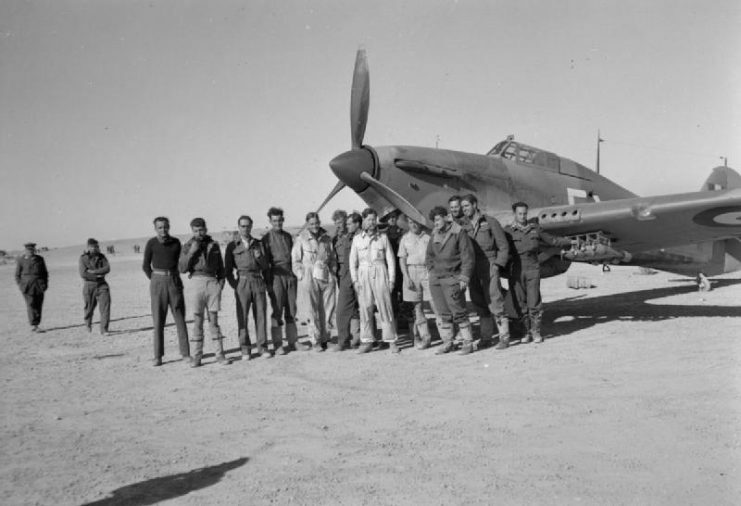 He was posted to 80 Squadron and went up against the Italians in the western deserts of Libya. 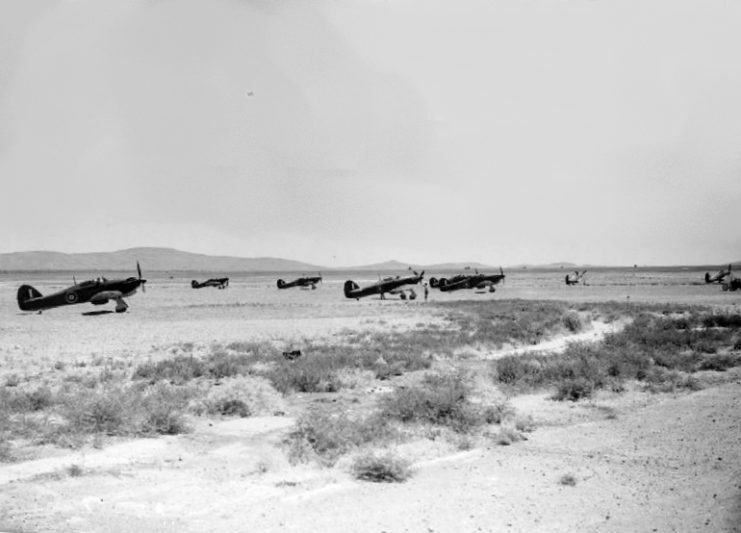 Hurricanes of 80 Squadron in Palestine, June 1941. Unfortunately for Dahl, he had to fly Gloster Gladiators, which were a perfect picture to look at but terrible if you were being chased by a Messerschmitt. In September 1940, Dahl crashed his beautiful bi-plane and suffered injuries to his head, nose, and back. He spent six months in recovery in the Anglo-Swiss hospital in Alexandria. He re-joined 80 Squadron in early 1941 near Athens, Greece, where he flew Mark One Hurricanes. Pilots of No. 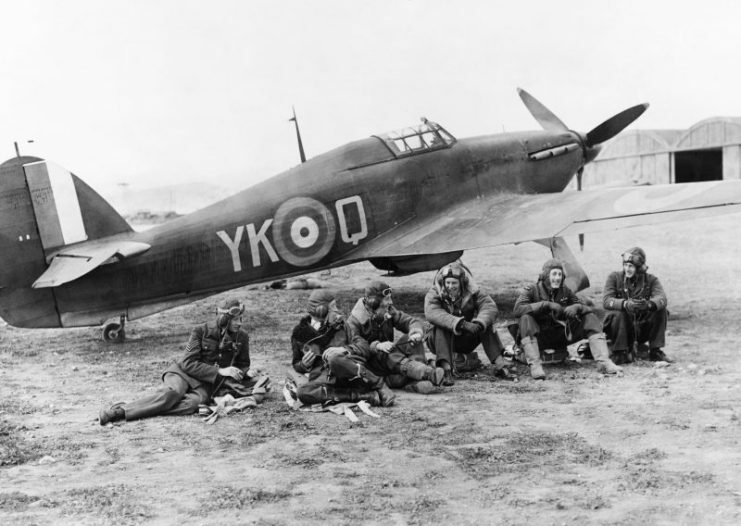 80 Squadron RAF relax in front of Hawker Hurricane Mark I, Greece. Flying Officer of No. 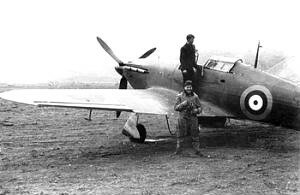 80 Squadron RAF, preparing to take off from Paramythia, Greece, in Hawker Hurricane. Later that same year, while based in Haifa in the north of modern-day Israel, Dahl began experiencing debilitating headaches, which were a direct effect of his previous crash in Libya. He was invalided out of the RAF and returned to Britain. A year later, having been formally discharged, Dahl was sent to the British Embassy in Washington as Assistant Air Attaché. Soon after this move, his first short story was published. It was based on his experiences flying bi-planes over the Libyan deserts. 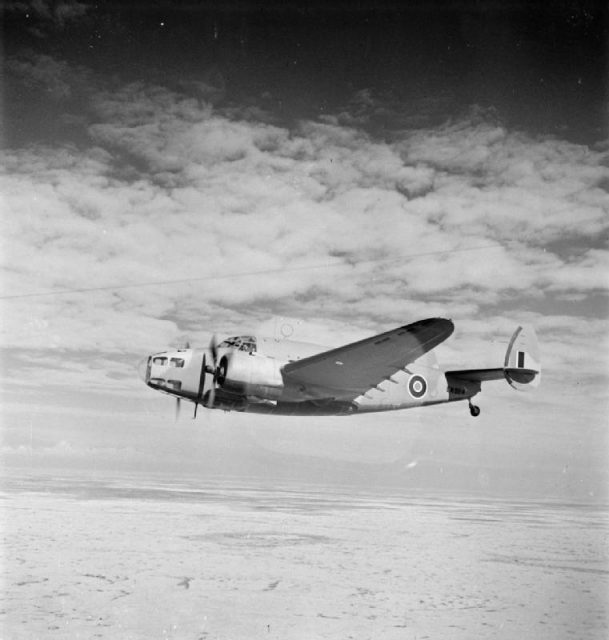 RAF Hudson flying supplies in Libya. Dahl’s family have long celebrated Dahl’s writing awards, but it wasn’t until recently that Ned Donovan, Dahl’s grandson, got hold of his grandfather’s war record. A Medal Office spokesperson confirmed that Roald Dahl had not been automatically issued with the medals as he had left the RAF prior to the confirmation of medal criteria and that the family would have to apply for them. Donovan applied to the Medal Office. He and his step-grandmother, Felicity d’Abreu-Crosland, filled in the forms, sent them back and heard nothing for what seemed like a very long time. They arrived in the post on December 12, 2018, having finally been sent to the family 73 years late and 28 years after the author’s death. Donovan presented them to his eighty-year-old step-grandmother as a birthday surprise. She told him that she would sleep with them under her pillow. 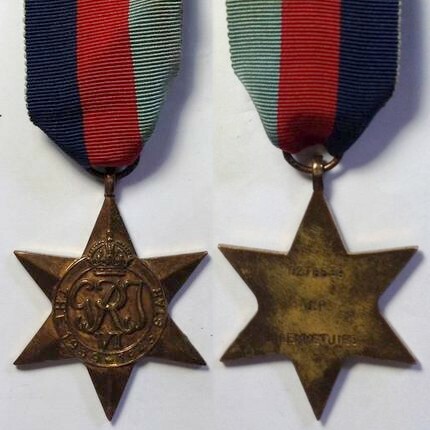 Dahl was awarded the 1939-45 Star for overseas service during WWII, also the Africa Star (for those who served in North Africa between 1940-43), the Defence Medal (for non-operational service), and the War Medal (which was awarded to all those who served full-time in the armed services during WWII). 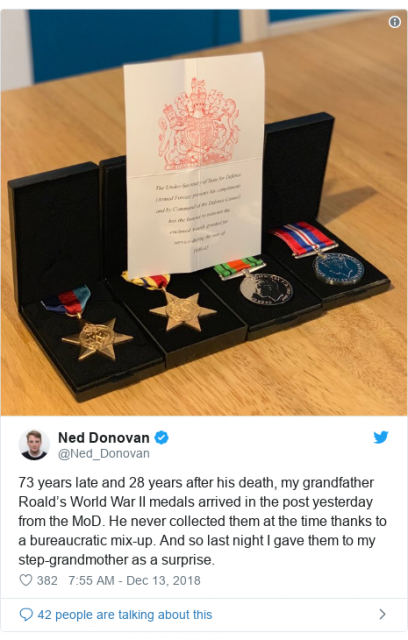 A spokesperson from the MoD said in a statement that the Medal Office had been delighted to hear that the medals belonging to Roald Dahl had been reunited with his family. The medals are expected to go on display at the Roald Dahl Museum and Story Centre in Great Missenden in Buckinghamshire in the UK.